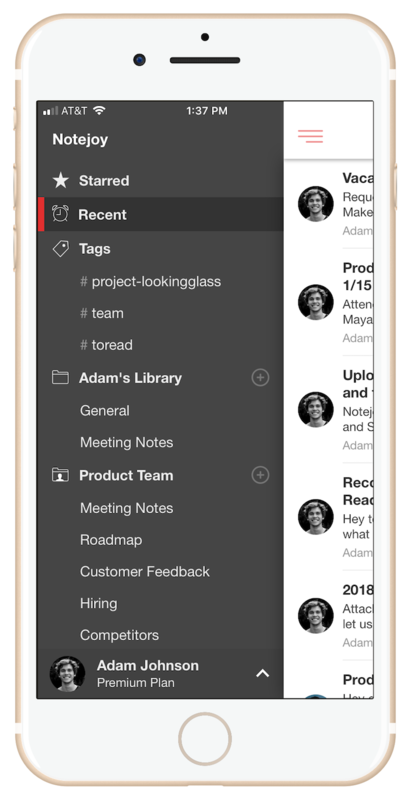 Today we are excited to release feature-packed updates to both our iOS and Android apps! Tags: You can now browse tags from the sidebar as well as search for them. Collapsible libraries: Libraries can be collapsed and expanded and will reflect the previous state you left them in across desktop, mobile, and web. Archived notebooks and libraries: Archived notebooks and libraries are now hidden from the sidebar. No notes found search indicator: So you know exactly when your search is complete and has returned no results instead of possibly still running. Notebook deep links: Now both note and notebook links take you to the right place in the app. To take advantage of all this goodness, head over to the App Store or Play Store and make sure you have the latest update.